Phally Han has been at PIO since 2007. 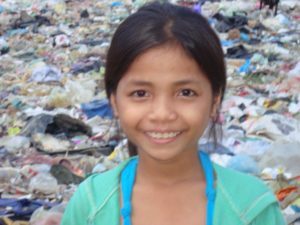 Before that Phally was living a horrendous life earning money for her family by collecting garbage from the Phnom Penh rubbish dump. A situation no child should ever have to endure. When Mrs. Phymean found her and brought her to live and study at PIO it brought hope into her life. Over time, being at PIO completely changed her life, achieving thing that she never dreamed possible. Phally has achieved academic success and learned traditional dance and sewing skills. She has also represented PIO at the Girls Peace Camp in Nepal. Most importantly, she now has the possibility of a life very different from the one she experienced as a child. She is a quiet, reserved young woman, but beneath that reserve is a confidence and a determination to succeed. Phally has recently graduated from Grade 9 and is now continuing her studies in Grade 10 at the public high school. Her best subjects are English and Mathematics. She has achieved consistently high grades in both subjects. 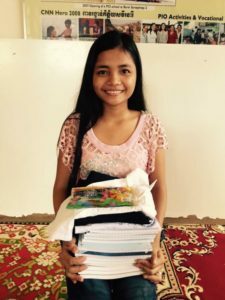 She is not sure yet what she wants to do when she completes high school, but she has a strong self-motivation to gain her high school diploma. In her free time, Phally likes spending time with her friends and joking with them, but always makes time to do her homework and review her lessons. 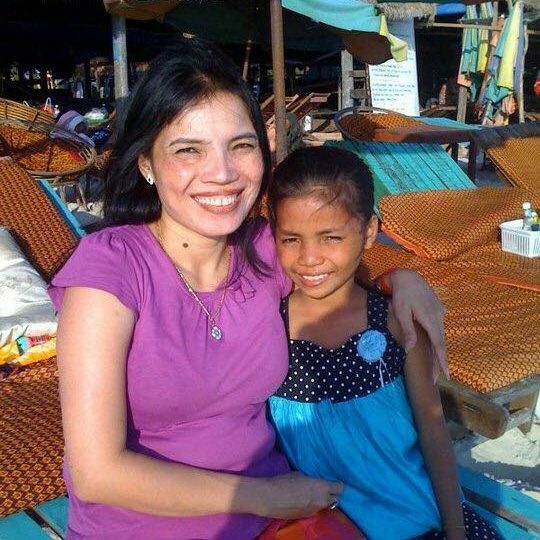 Life many of the children at PIO, Phally’s childhood was unimaginably harsh, but now as a result of receiving help and through her own amazing resilience and determination she has a bright future ahead of her. This remarkable young woman is on a path to success and a life completely different from the one she was born into. 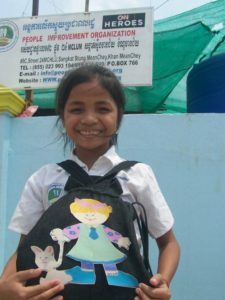 Education truly does bring the hope of a brighter future!